The above was tweeted by Hassan Rouhani, the current president of Iran. 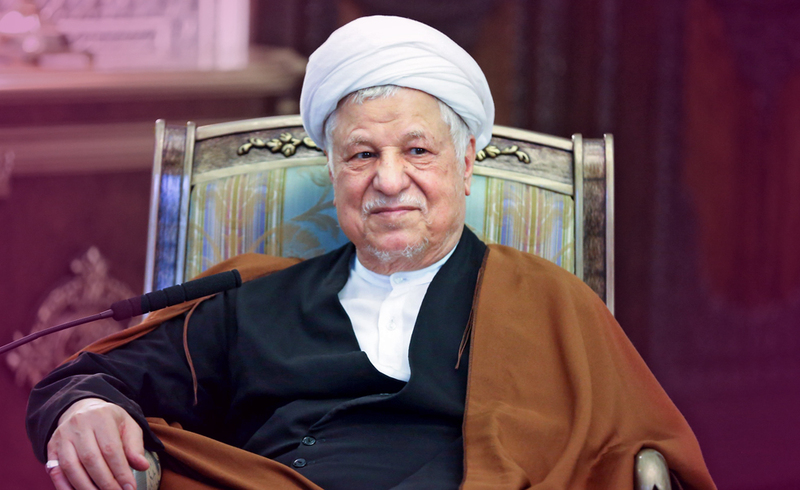 Sadly for everyone in the country, Rafsanjani, former Iranian President died on Sunday in a hospital in Tehran. At the age of 82, he was still a great supporter of Rouhani. The whole country already feels his absence, and the mourning became official for three days. But we all know that for those who loved him, the mourning will probably never end. He was an influential political leader, but also a husband, a father and a friend. And although he had many enemies, he is also known for his great achievements. He transformed the country, helping its people regain their strength and faith. He was there for everyone during hard times, no matter the amount of opposition he was facing. He will be remembered by those, who he left behind, and his legacy will live for ever. When someone dies, so does their point of view (most of the time). In this case as well, some say that Rafsanjani’s death will cause ripples in Iran’s politics and economy. Some even claim that the current president’s reign is coming to an end as a result. Let’s consult the cards, and see what is in store for Rajsanjani’s family, the people of Iran and Rouhani. Six of Pentacles for Rajsanjani’s Family: By being charitable, Rajsanjani’s family will get through the hard times. It is said that when you help others, they help you as well, because you forget your own sorrow. Only time will heal all wounds and mend broken hearts, but love and gratitude can speed up the process. Remember, a whole nation feels your pain, so feel free to share your grief. Three of Pentacles for Iran: Now it is more important than ever to consider what you want to achieve. It is crucial to remember what was and what can be in the future. A great leader is only truly gone if he is forgotten. Continue to dream big and reach towards your goals, as if he was still there to show the way. This isn’t a time for action though, but rather careful planning. Ten of Swords for Rouhani: This was a huge shock and loss for Rouhani. He not only lost a friend and supporter, but he may consider this a personal failure. He needs to realize that there is nothing he could have done, and accept what happened. He needs to find time to mourn and heal, and then look to the future. Death is always sad, but those who remain have to learn to live again. And this is especially true in case of another great leader. Previous ArticleHas philanthropist Charles Feeney donated his last $millions?Next ArticleDonald Trump ‘in Vogue’ with Anna Wintour.